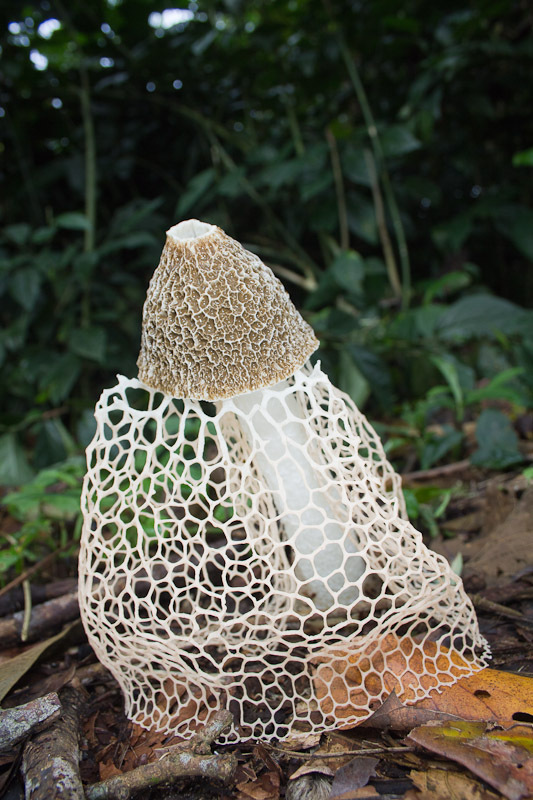 I was thrilled to find this stinkhorn, Phallus indusiatus, growing right on the side of the trail. I’m not sure how long they last, but with frequent foot traffic through the area, I might have been lucky to be the first in the area. There’s lots of interesting information on the wikipedia page for this species, including a surprising physiological effect on women. One of my photography resolutions for the year is to use my wide angle lens more. I thought this was a good subject for it, particularly in the first photo, showing the trail in the background. Using the wide angle lens required getting quite close for these photos. Being male, and consistent with what’s reported on the wikipedia page I linked to above, I found the smell disgusting. There’s a neat time-lapse sequence from BBC’s Planet Earth series showing various fungi growing. The sequence starts around 23:20 and the fungus pictured above starts at 24:10. Very cool. I have stinkhorns occasionally in the mulch beds where I work, and they come up pretty fast–seems to be within a day. I usually find them by the smell. 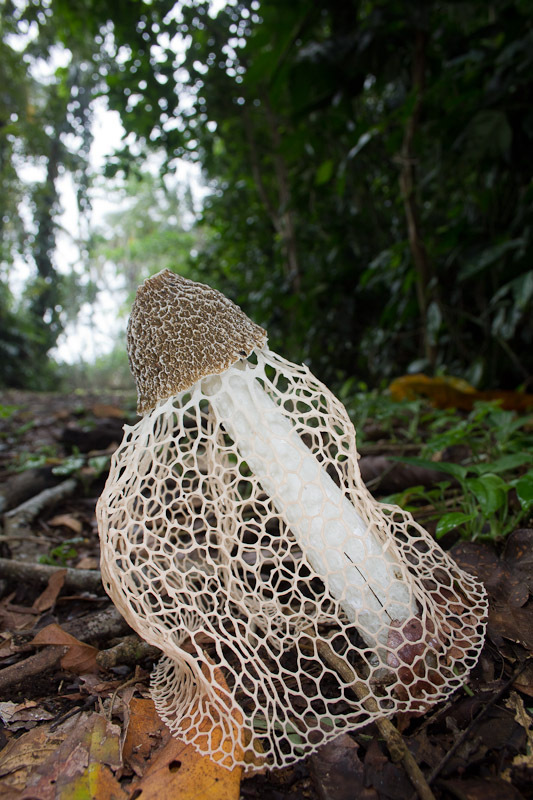 Watch for the little long-legged flies on them–they seem to have a thing for stinkhorns.